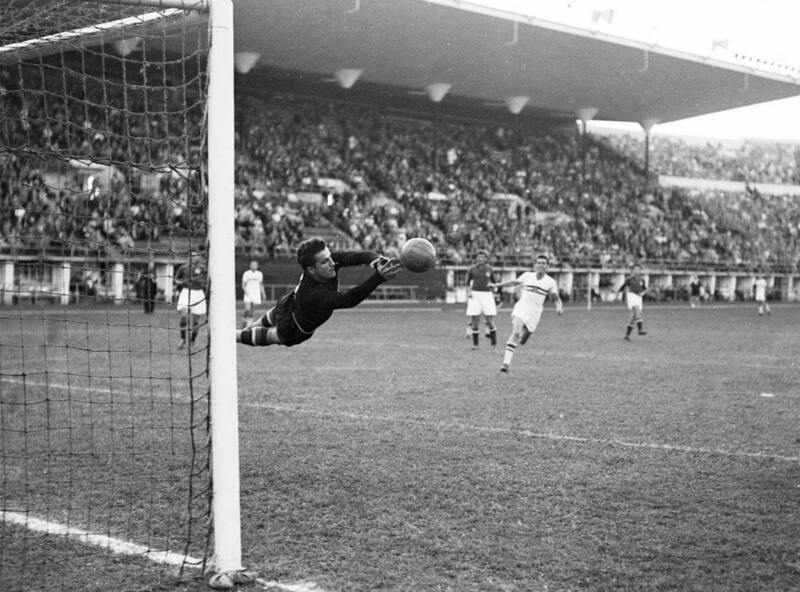 Yugoslavia’s goalkeeper Vladimir Beara at work in the Olympic football final on 2 August 1952. His heroics did not prevent Hungary from winning the match and the gold medal by 2–0. Ferenc Puskás and Zoltán Czibor scored the deciding goals in front of 70,000 people at the Olympic Stadium.